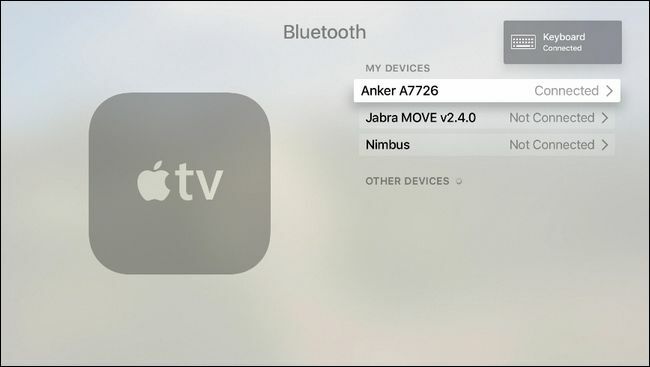 Do you know that you can connect and control your Bluetooth keyboard to your Apple TV? Then Bluetooth keyboard may have built intended for computers, but you can also pair it perfectly with your Apple TV. 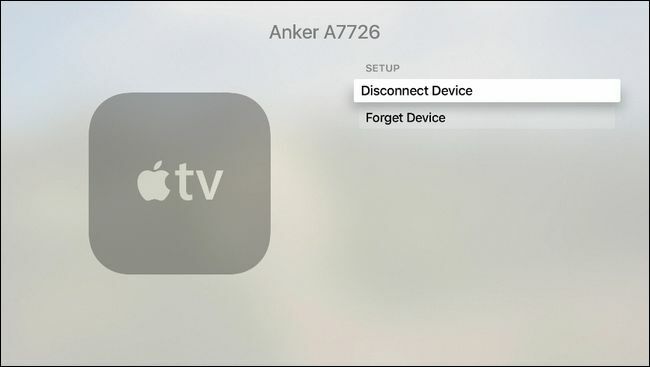 I am very sure you must heard about how to use your Apple Watch, iPhone and iPod to control your Apple TV. 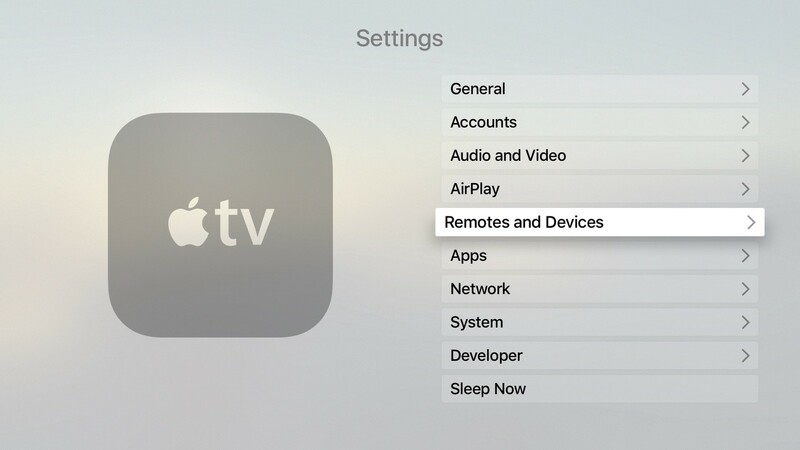 Generally, Siri TV remote is the official TV remote for Apple TV. But by virtue of its thin and smal size, it can be very wearisome, annoying and fraustrating to type and control your Apple TV. Like I said earlier it is very possible to use your Apple watch, iOS device iPhone and as well as your bluetooth keyboard. 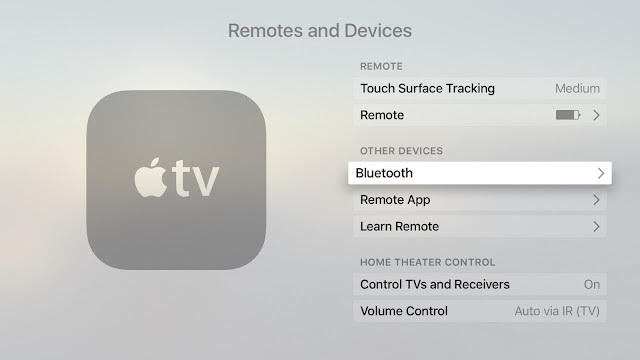 So if you don't feel like dictating to Siri slowly or entering characters in one at a time with your Siri Remote which is the most annoying, then you can easily pair your Bluetooth keyboard to your Apple TV. So to do this, your Apple TV must be running on at least tvOS 9.2 or higher and a Bluetooth keyboard. 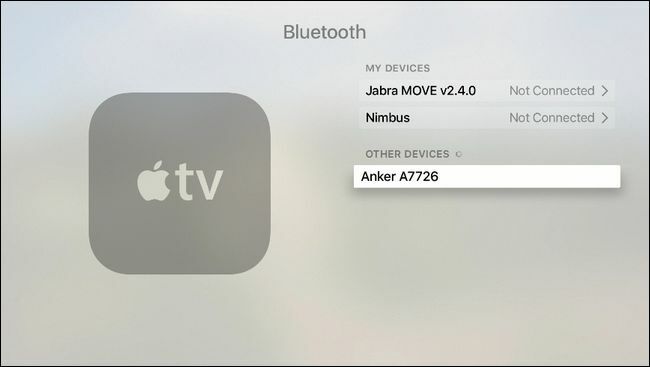 Apple didn’t add support for Bluetooth keyboard in the first release of the 4th generation Apple TV, despite the inclusion of keyboard support in prior generations but was later added to its updates. Turn ON the keyboard bluetooth if it isn't on already and then make it discoverable. Note: On Apple's new Magic Keyboard, the switch button is on the back left. Select the Settings icon from the Apple TV home screen with your siri remote. 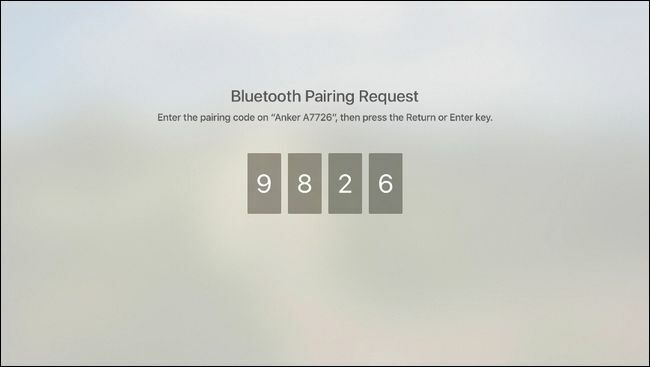 At this point, you'll have to start Bluetooth pairing mode for your keyboard. For the keyboard we’re using, we'll have to turn it on and holding down the Function key and the Z key (which is visibly labeled with the Bluetooth icon as a secondary function). On your Bluetooth keyboard, it may mean holding down a particular pairing button. You can check your keyboard’s manual for more information. Then your Keyboard device should appear if it is on, discoverable and in range of your Apple TV. Then select it when it appears. If it doesn't, you may need to disconnect it from any other devices, like your Mac. Now click on the "Connect device" button. In case you are using the Apple Magic's Keyboard, then you will not be prompted to enter pairing code. 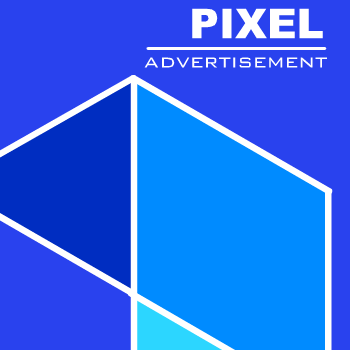 If not you'll will be asked to enter a pairing code. So the Apple TV will prompt you to enter, on the keyboard, the 4 digit pairing code on your keyboard. Just enter the numbers using the number row on the keyboard and hit the enter key. 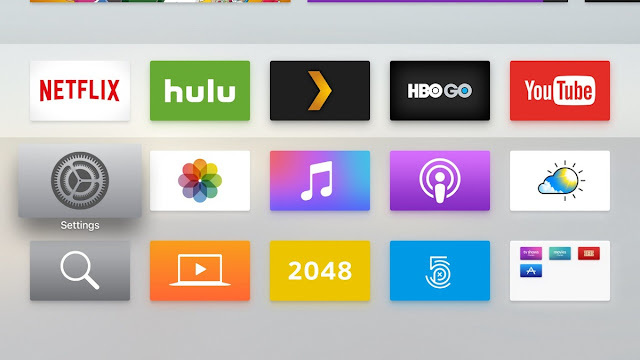 After that, your device will appear in the connected devices and you are ready to use your Keyboard with your Apple TV. 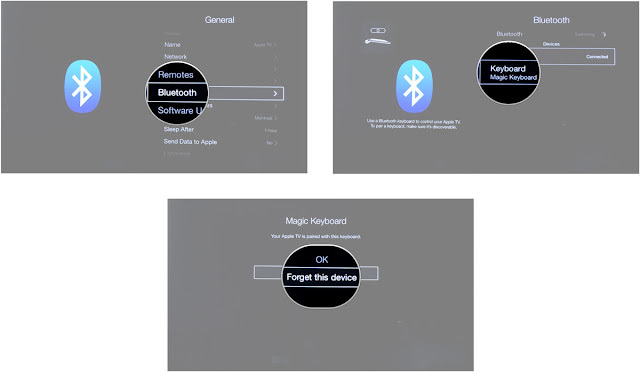 If you would like to unpair your keyboard from your Apple TV, then you can follow the below steps. Open the Settings menu from the main menu. Then click on "Forget this device". Select the Settings icon on the Home screen. Then click on General. Now select the "Bluetooth" options. 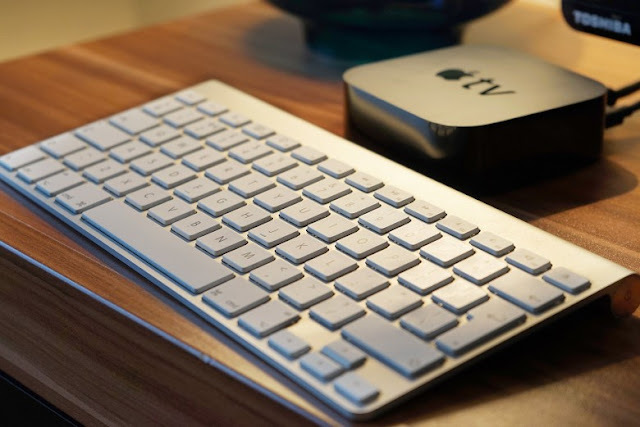 Then your Keyboard device should appear if it is on, discoverable and in range of your Apple TV. Then select it when it appears. If it doesn't, you may need to disconnect it from any other devices, like your Mac. Then select your Keyboard when it comes up below the Devices list. Then click on Forget this device.